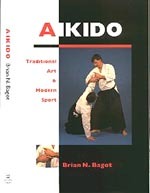 This was the first book about Aikido that i bought and is still by far the best book i have seen for beginners. I would highly recommend this to anyone just starting out in Aikido. To experienced Aikidoka this may not be such a good book but still rates highly for its comprehensive weapons section.